We can help with some creative ways to promote your business to your customers and the ideas below just give an indication of what we can make from seasonal gifts, such as calendars and Christmas trees to POS displays and give aways. There is a wide range of materials and colours available for promotional goods so give us a call on 01664 823885 to discuss your requirements. This is a great method of promoting your business whilst at the same time labelling stock or office equipment. 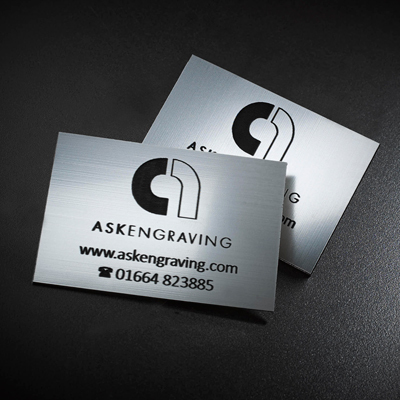 Our Company Branding Labels are created from micro capped acrylic, ranging in thickness from 0.1 - 1.5mm. They come with a strong 3M adhesive backing or screw holes if required. If you want to get your company details on your client’s desk, how about our eye catching coasters? 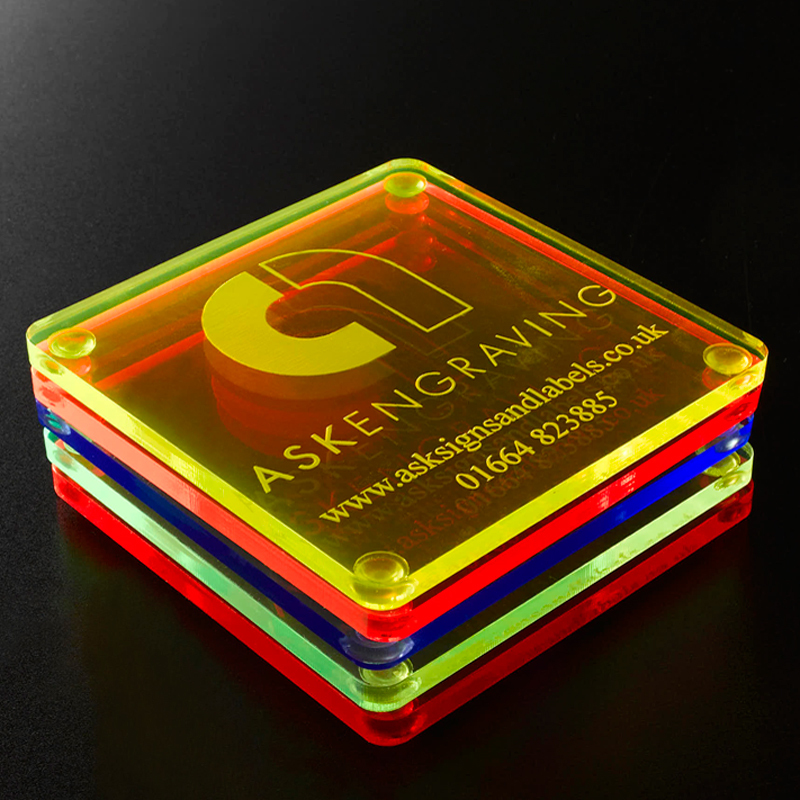 Designed from 3-5mm fluorescent or tinted Perspex, they can feature your logo or slogan. We especially like the fluorescent Perspex as it appears to light up. Provided with rubber feet to prevent surface marking. 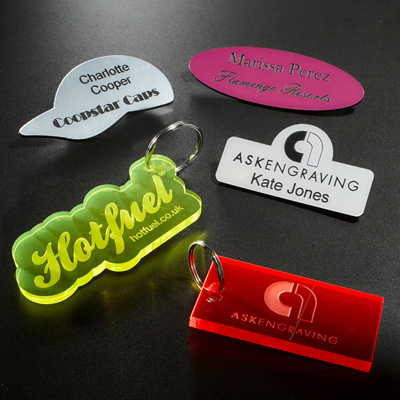 We have provided our customers with a range of bespoke products such as keyrings and badges in a variety of shapes and sizes. Badges come with a choice of fixings. Please get in touch for more information on what we can make for you.